Cumin may be one of the modest looking spices in the world, but the health benefits it promotes can be truly amazing. In a study done at the Medical University in Iran, it was shown that consuming cumin on a daily basis can help you lose 3 times as much body fat. Iranian researchers ran a study that included 88 overweight or obese women. The women were split in two groups. In the next 3 months they all received health and diet counseling and both groups reduced their daily calorie intake by 500 calories. The main difference though, was that the women from one of the groups were consuming 3 grams of cumin a day, mixed in yogurt. The other group, which was a control one, also drank the same amount of yogurt, minus the cumin. After 3 months, the women from both groups lost some weight. The women from the group that was administered cumin, lost 3 lbs more than the ones in the control group. What’s even more remarkable, is that the cumin group members decreased their body fat percentage for 14.64%. Compared to the non-cumin group members who lost 4.91%, this is almost three times MORE body fat lost. But higher percentage of fat lost was not the only benefit that group members got, by consuming cumin. Their health also improved.The ladies that consumed cumin improved their cholesterol levels as well. Their LDL cholesterol levels dropped by 10 points (the control group dropped just 1/2 point) and their triglycerides dropped by incredible 23 points (while the control group’s decreased only by 5). So what’s the science behind the cumin group’s dramatic changes in body fat and triglycerides ? Cumin is rich in phytosterols, plant chemicals known to inhibit the absorption of cholesterol in the body. There is also speculation, because of the lack of data, that cumin acts similarly as capsaicin. In other words cumin can temporarily increase metabolic rate and act as a thermogenic. It’s not just the great taste that cumin adds to dishes, but also the health benefits that it provides, make cumin a super spice. This ordinary looking seed is anything but ordinary when it comes to health benefits. It is long known that cumin helps your digestive system. Lately there is also scientific evidence that cumin really increases the secretion of certain enzymes that speed up and help digestion of food. Iron plays an important role in our body. Iron is an integral component of hemoglobin – a protein molecule in red blood cells that carries oxygen from the lungs to the body’s tissues and returns carbon dioxide from the tissues back to the lungs. Iron also plays a big role in energy metabolism and supporting the immune system. Growing kids as well as lactating and pregnant women have increased needs of iron. On the other hand cumin is a great source of iron. Just 4 grams of cumin seeds have about 16% of the daily recommended intake of iron. Cumin seeds may also have anti-carcinogenic properties. There are studies done, that show a significant cancer protective effect in laboratory animals. To be exact, consumption of cumin prevented the development of liver and stomach cancers in animals. 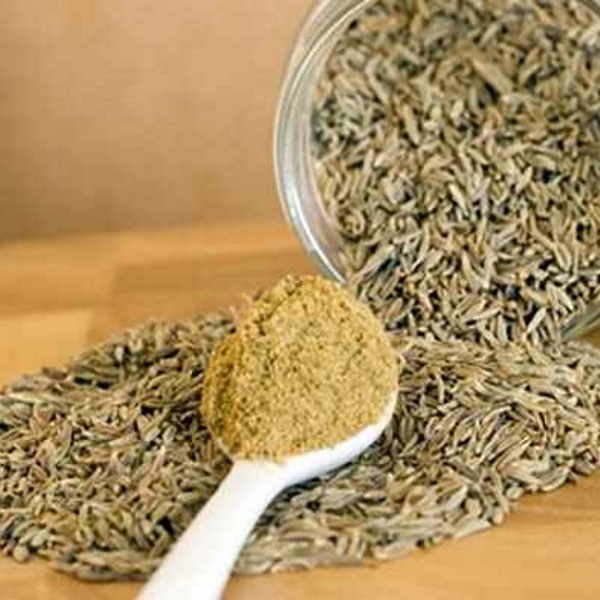 Even though there is no enough data, it is thought that cumin’s anti-carcinogenic properties may be due the spice’s potent free radical scavenging abilities as well as the ability to enhance the liver’s detoxification enzymes. You can use cumin in a few different ways . You can sprinkle some cumin on nuts, seeds or other snacks. Finally, you can make cumin tea. Just boil a cup of water, add a teaspoon of cumin, let the seeds boil for 5 minutes and let the tea cool down.